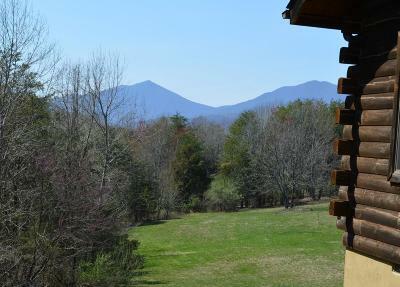 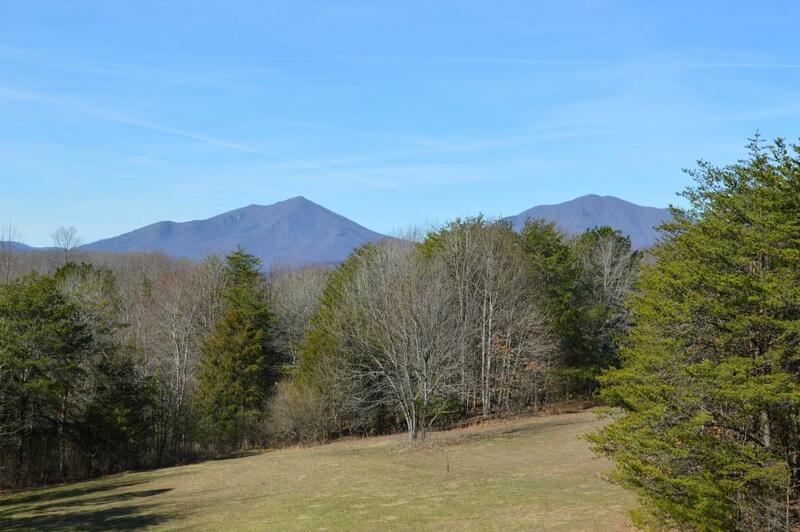 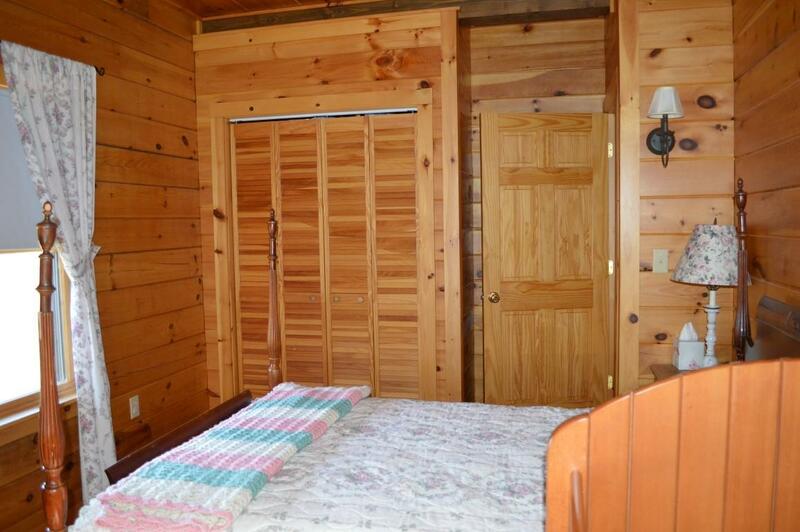 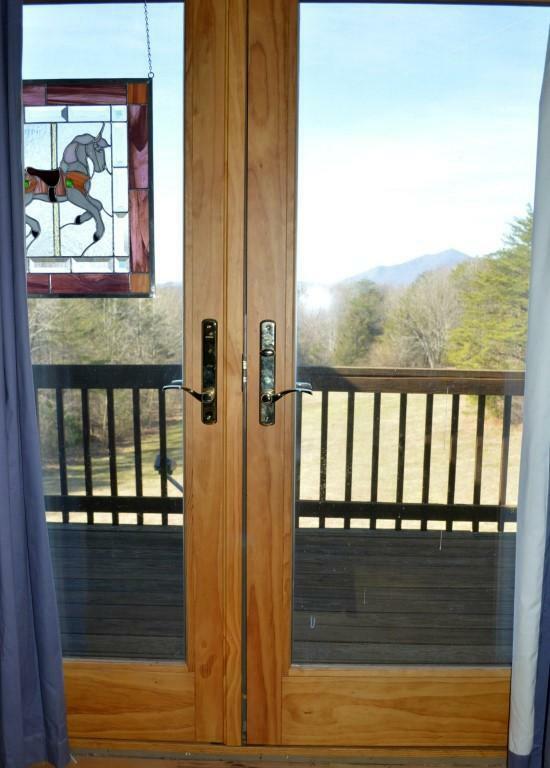 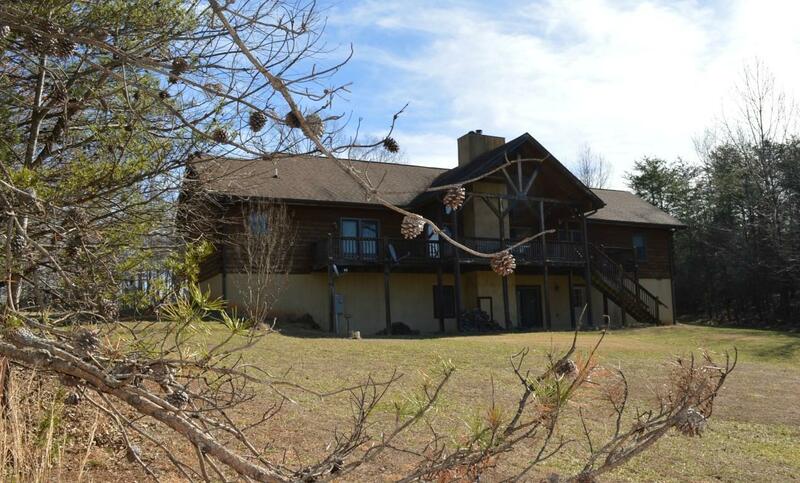 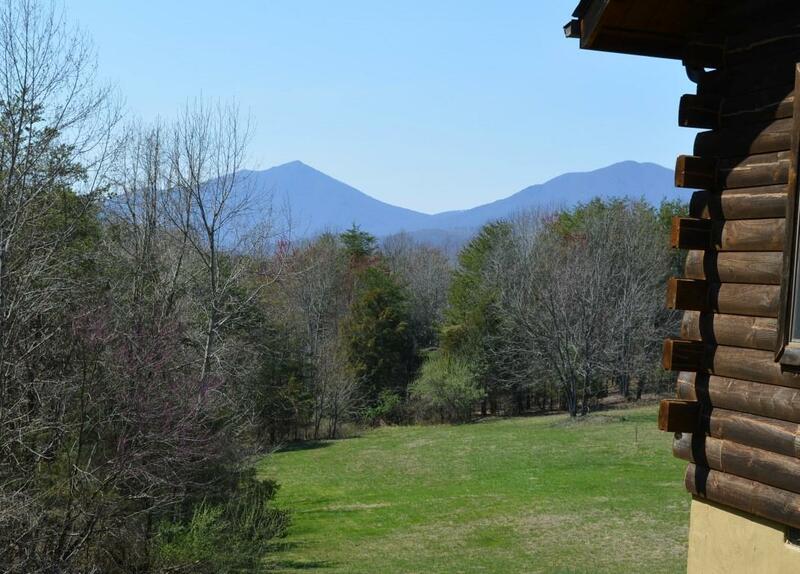 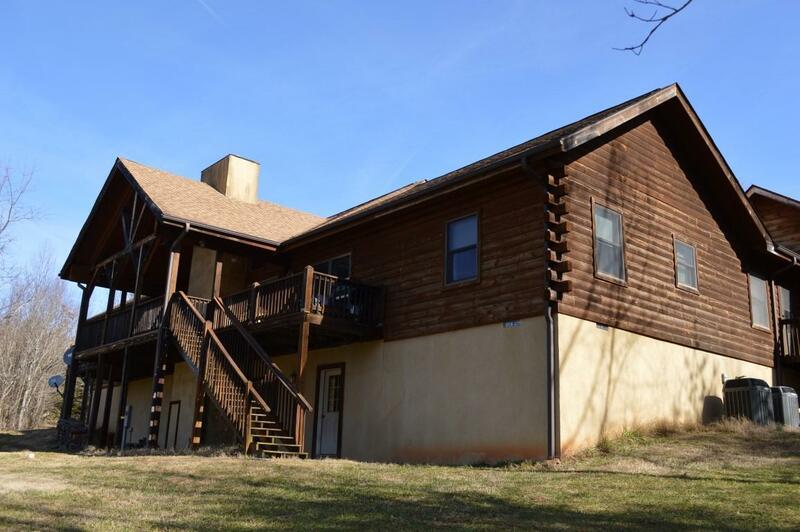 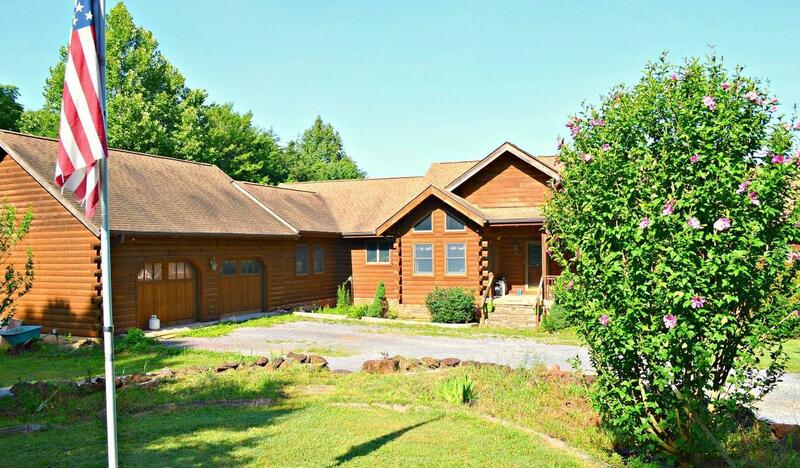 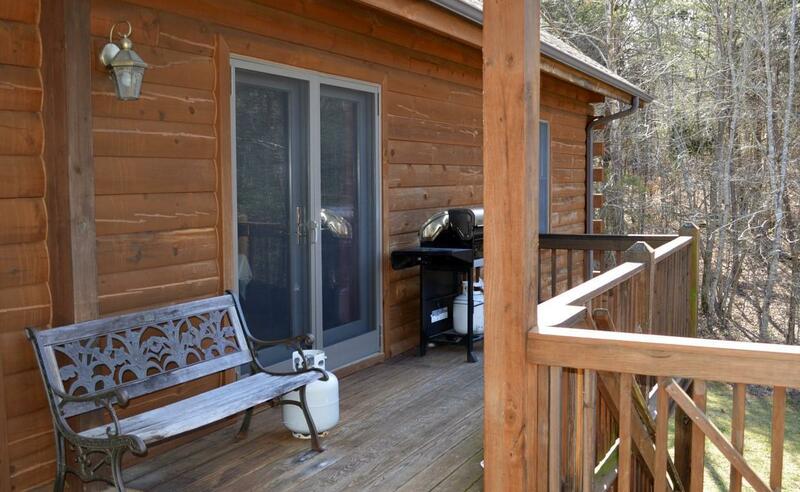 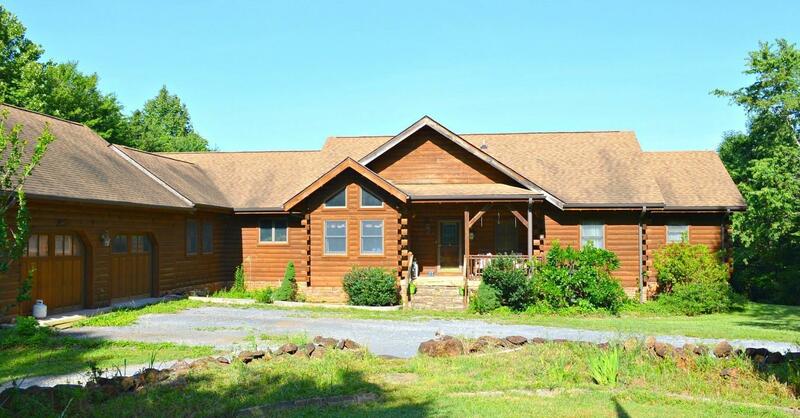 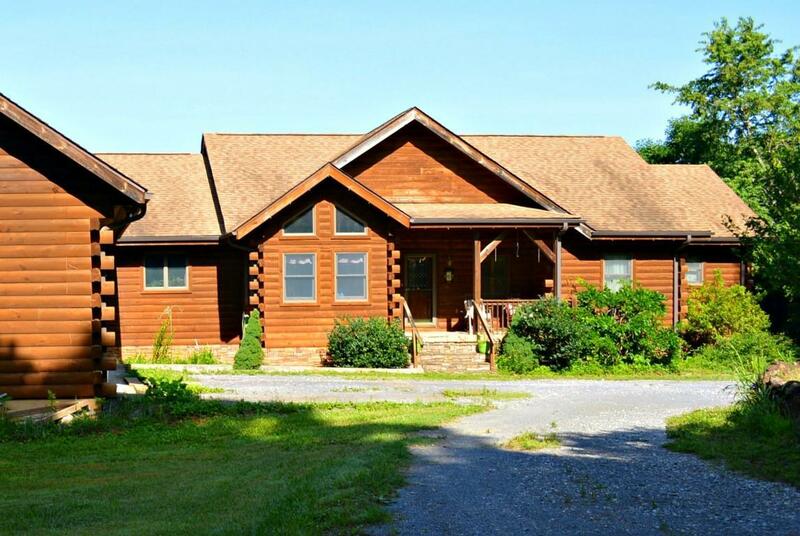 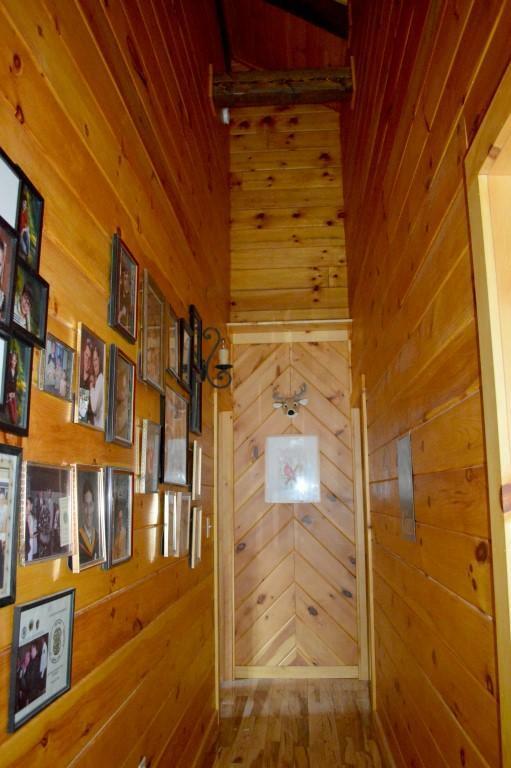 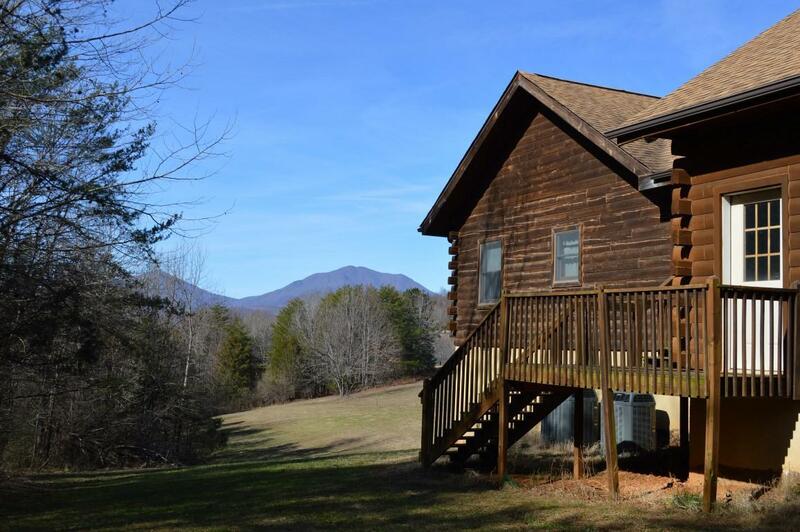 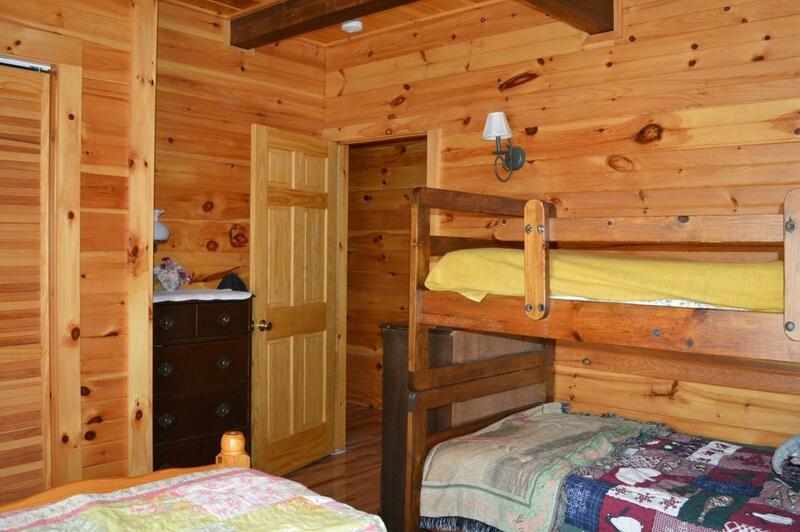 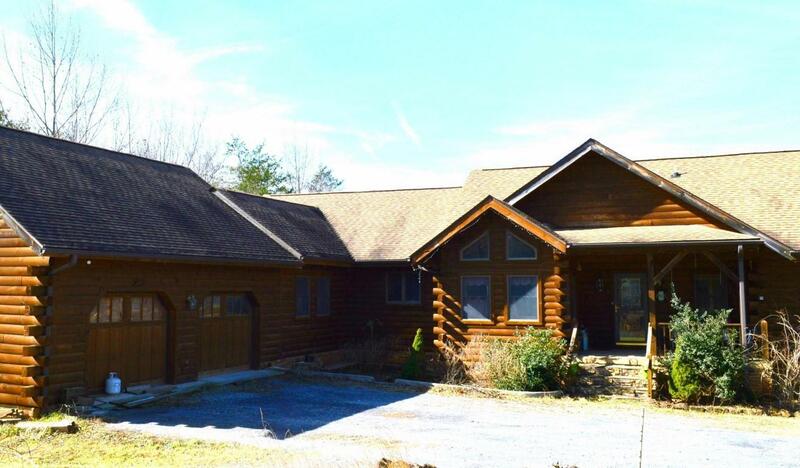 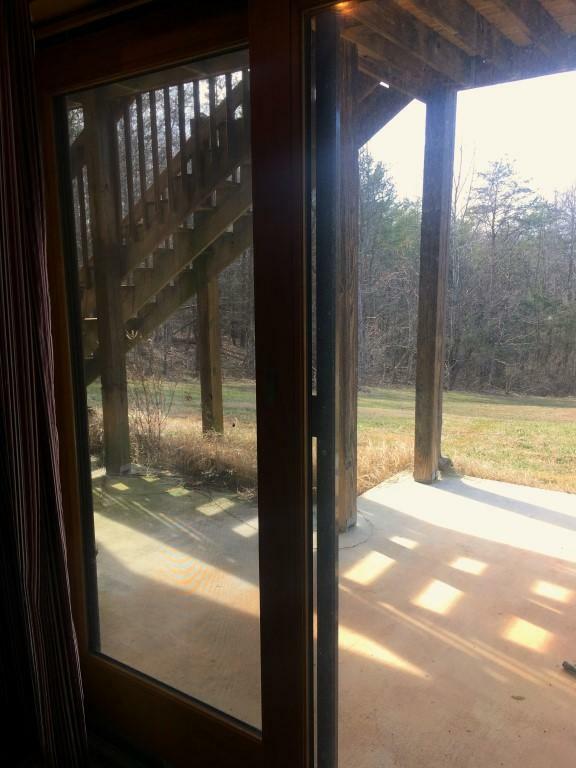 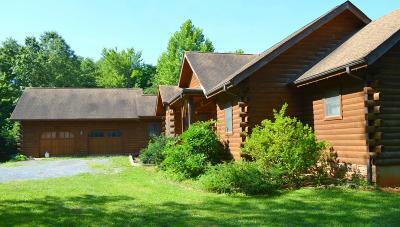 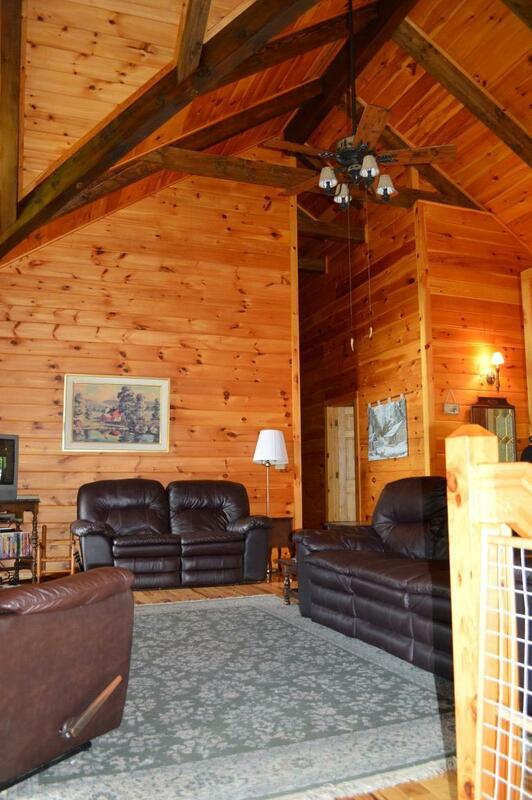 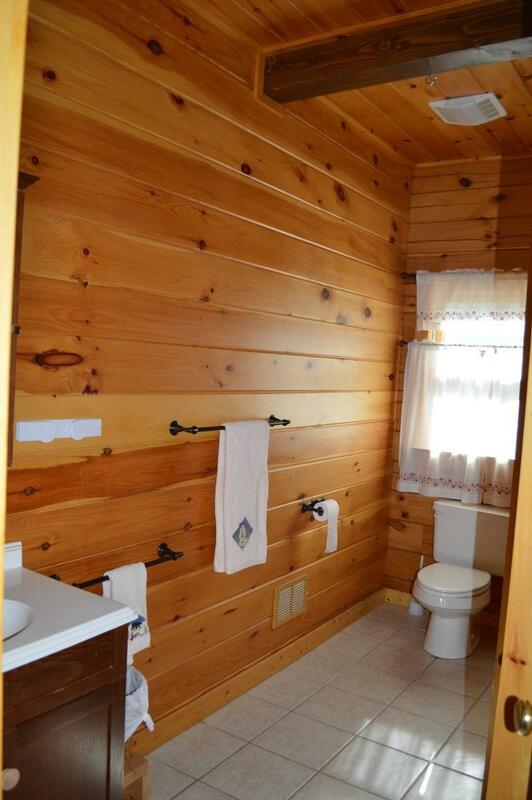 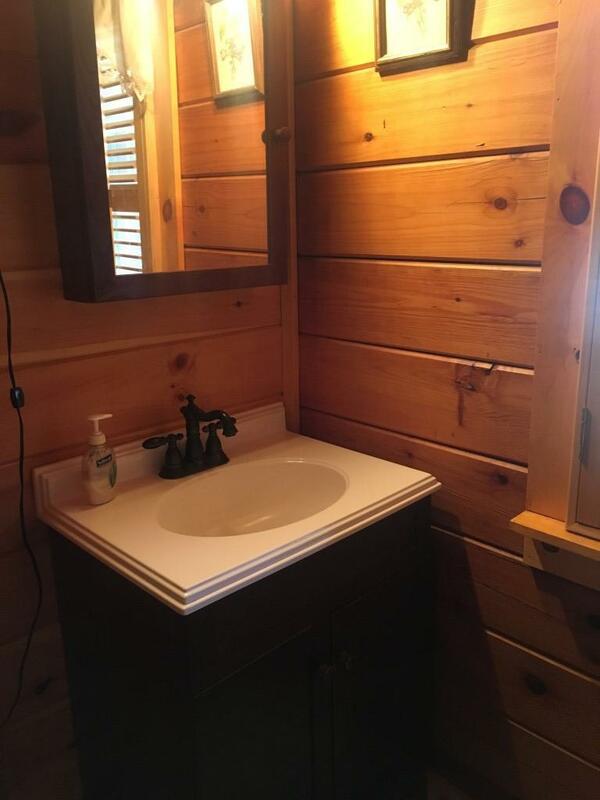 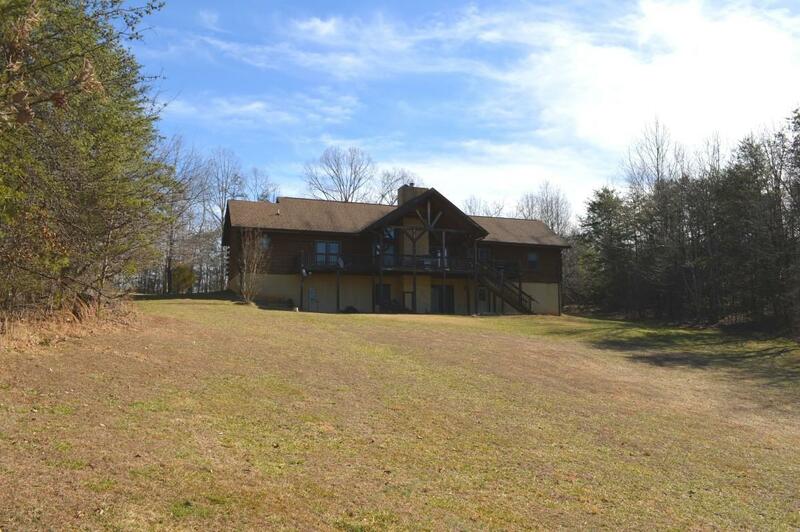 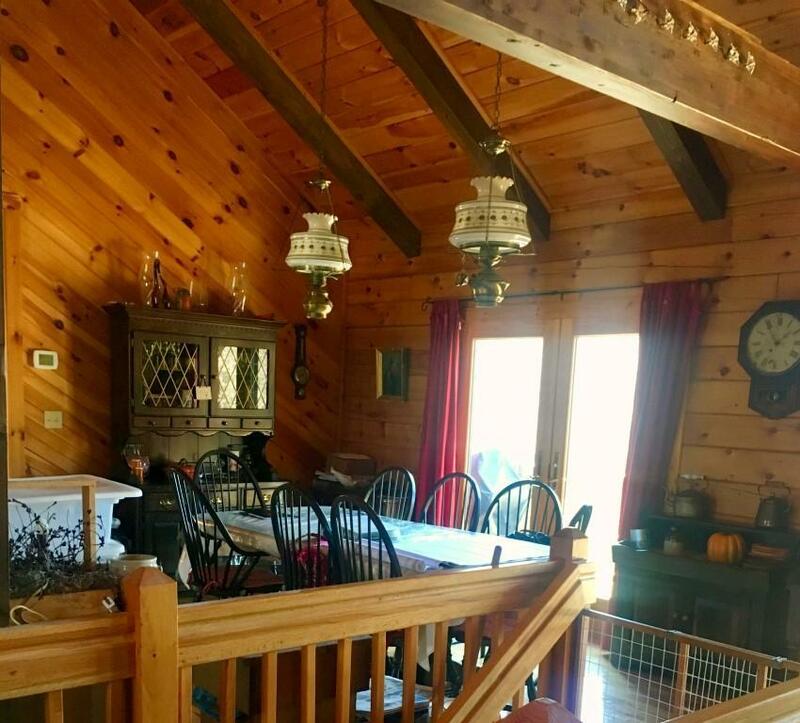 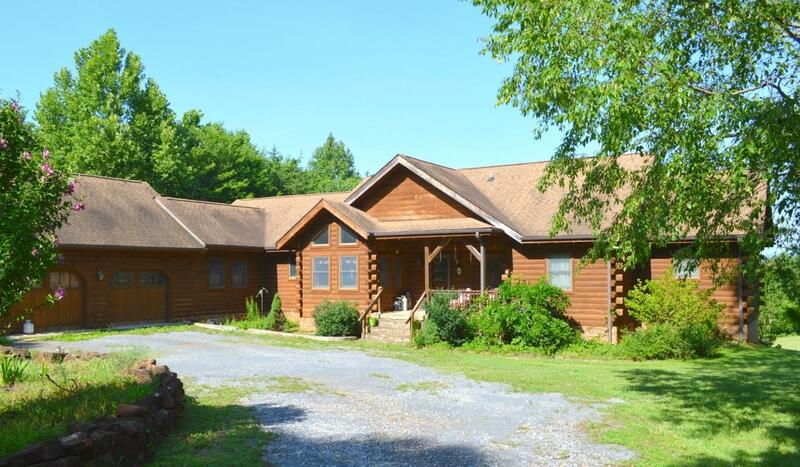 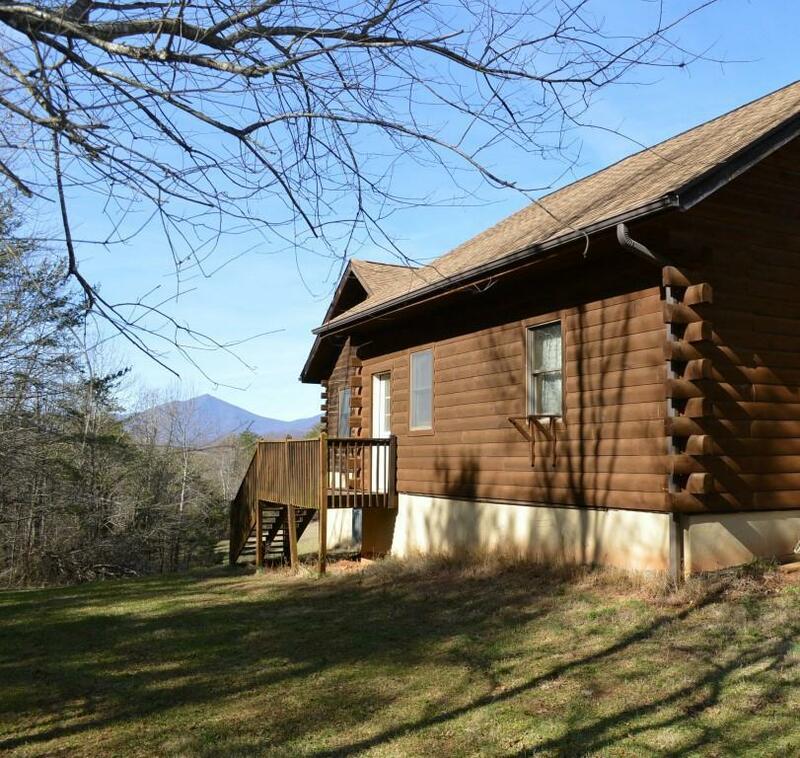 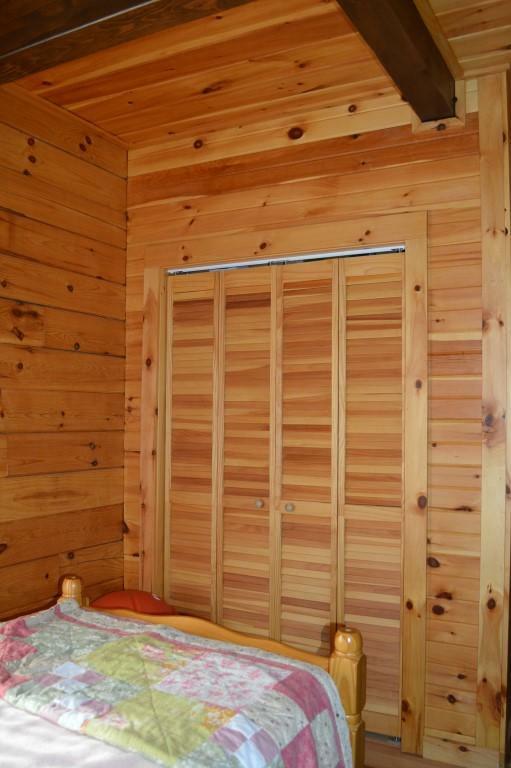 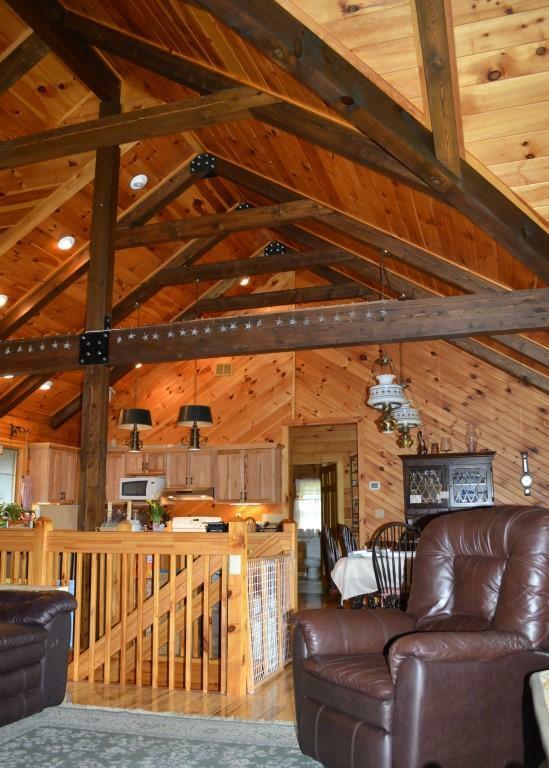 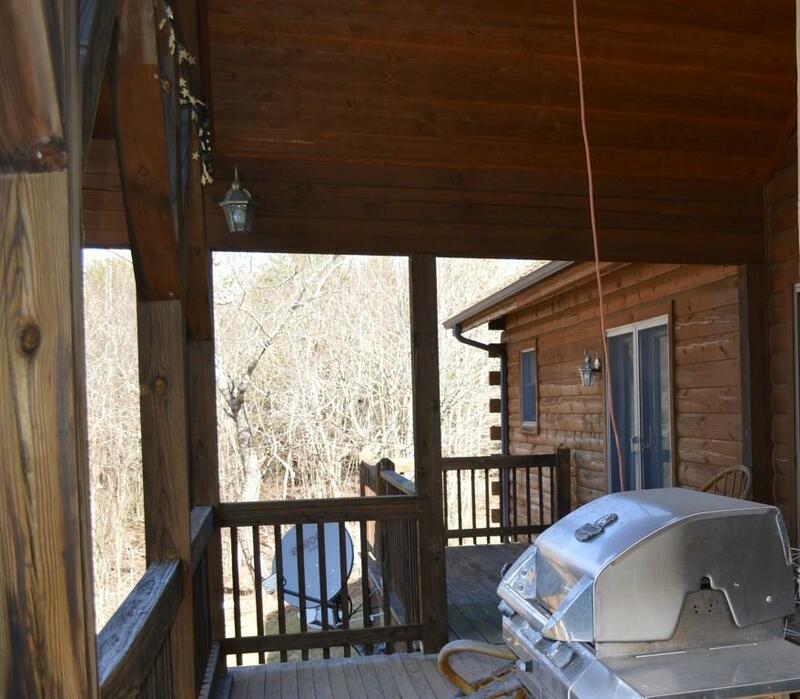 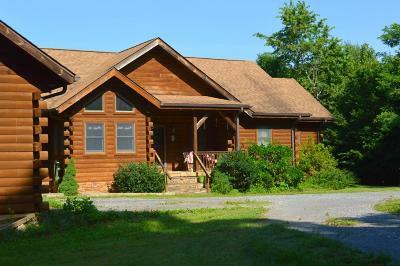 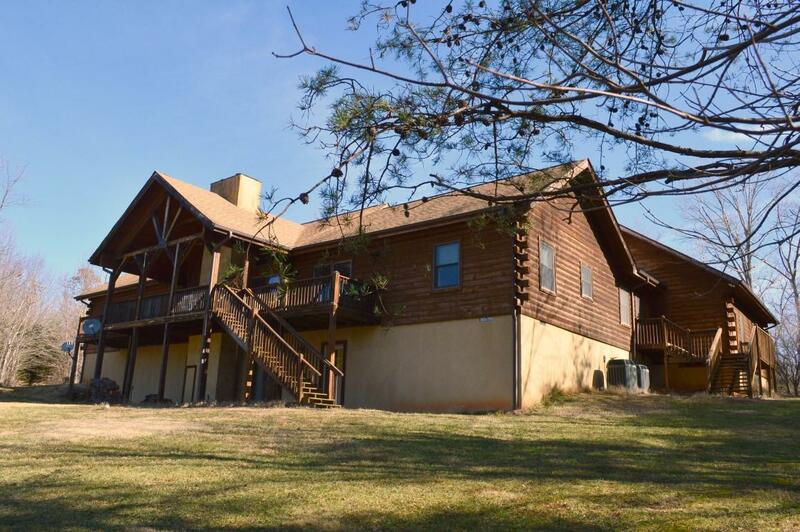 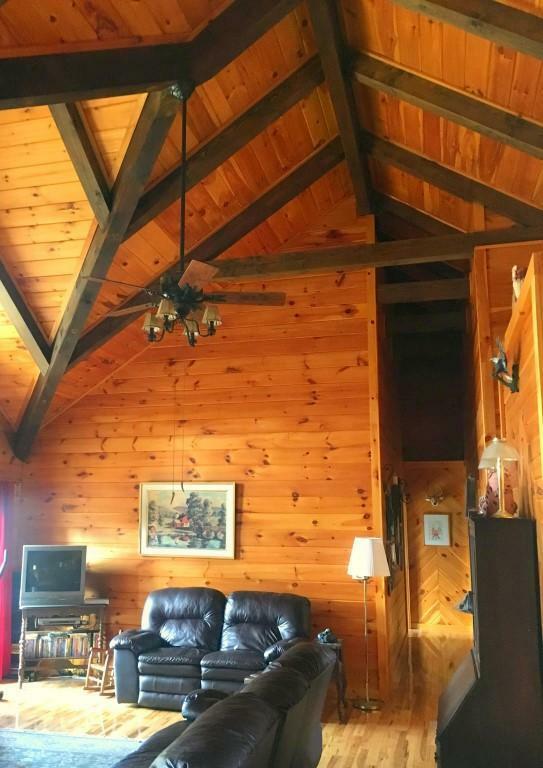 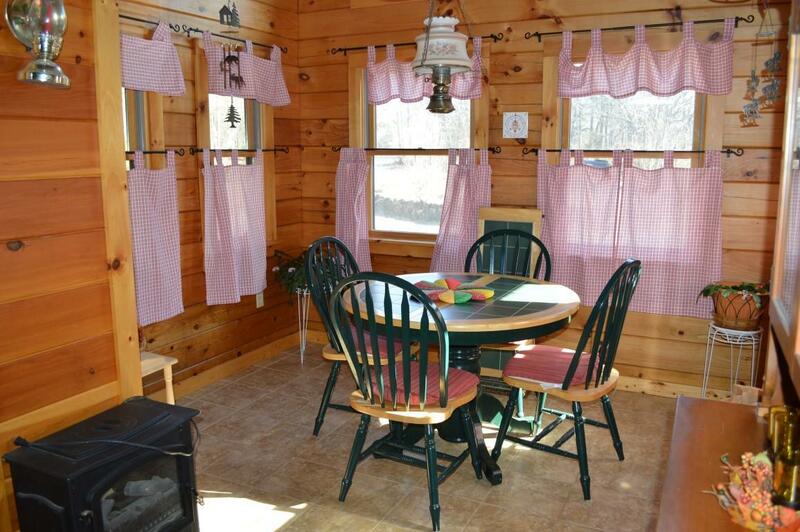 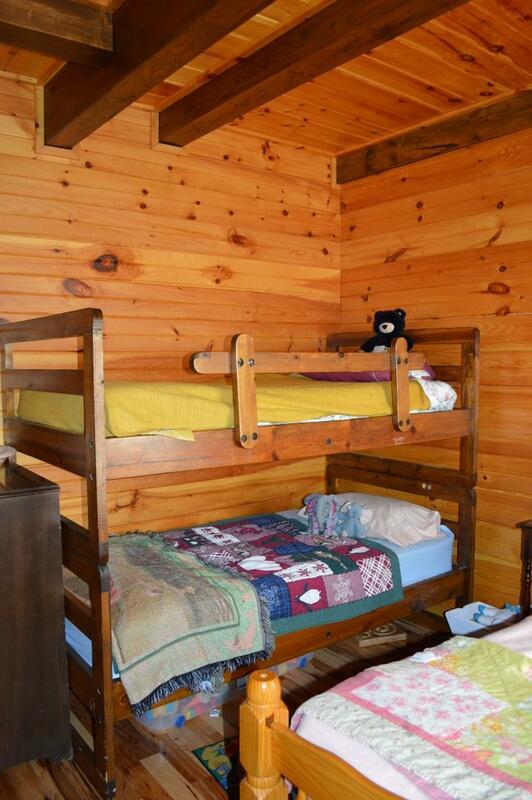 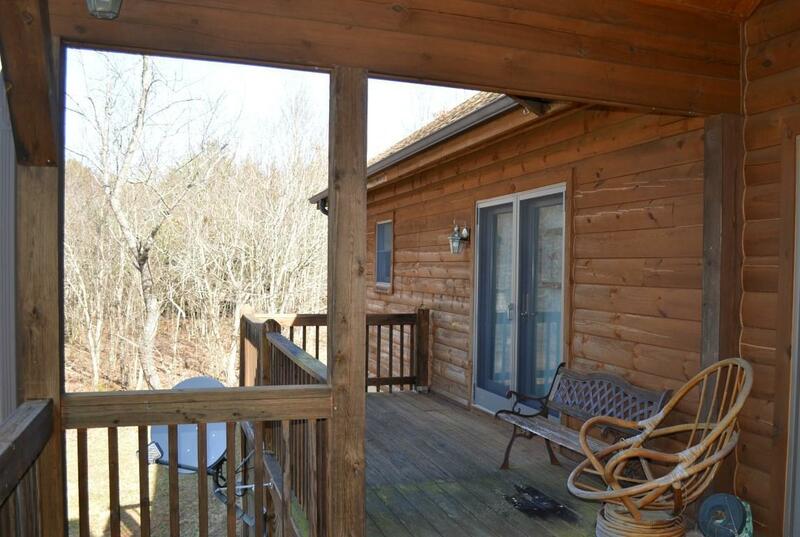 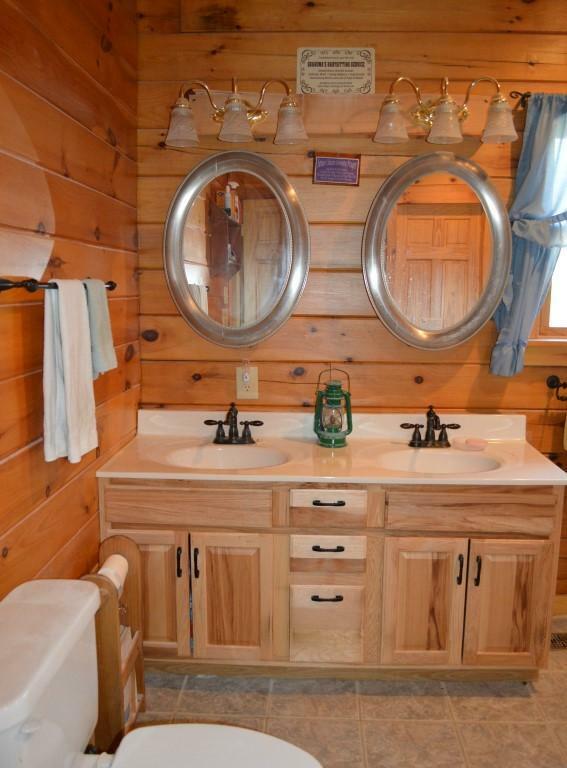 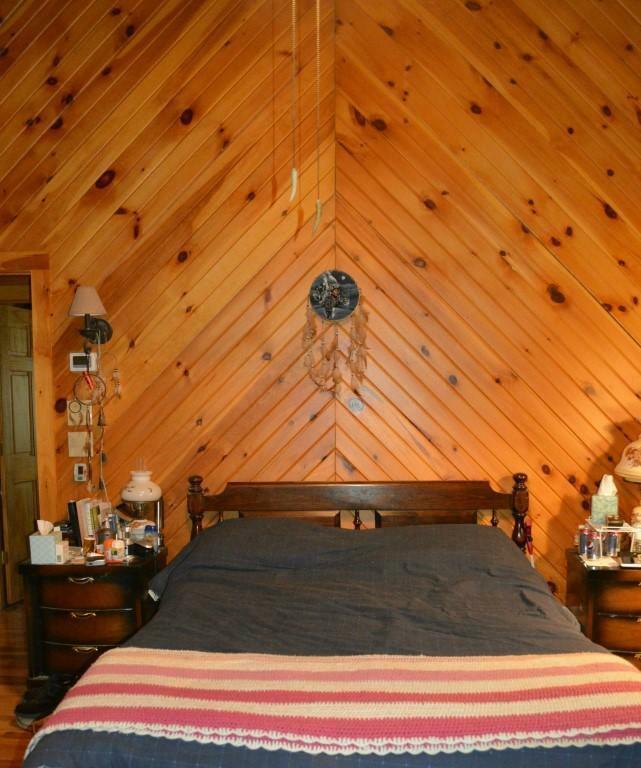 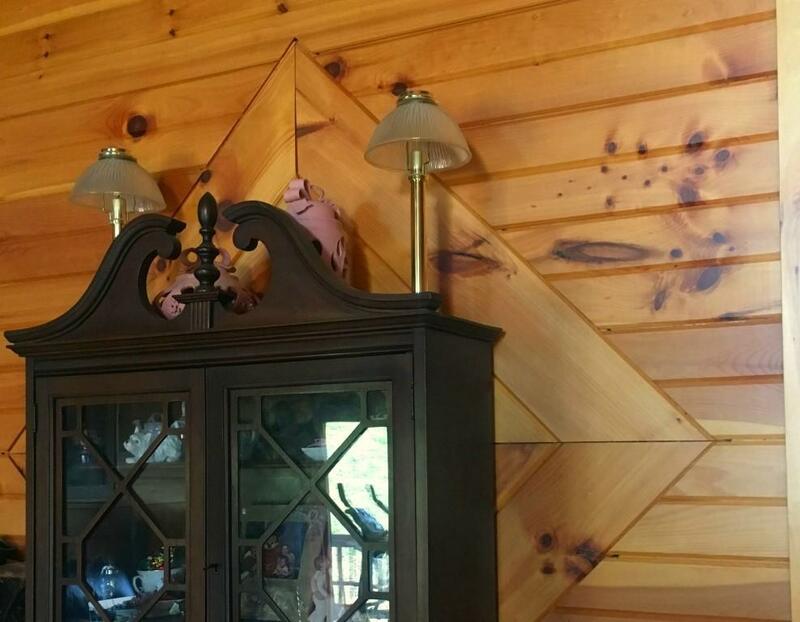 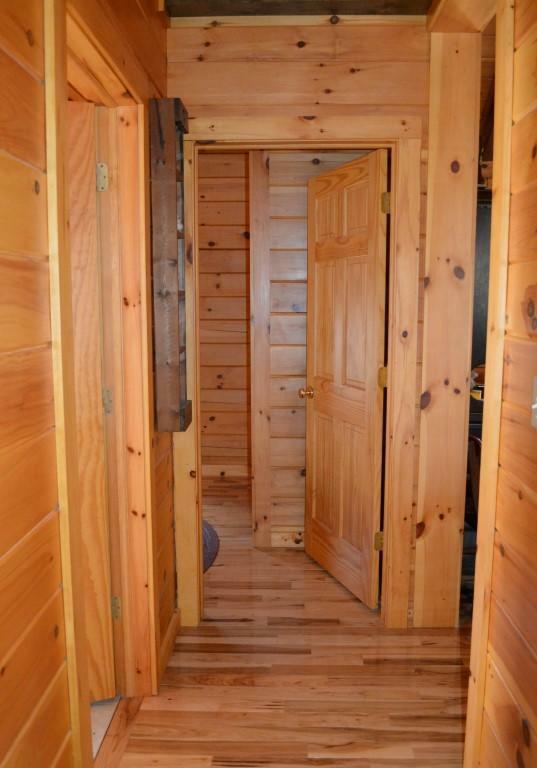 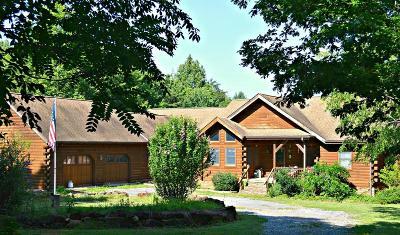 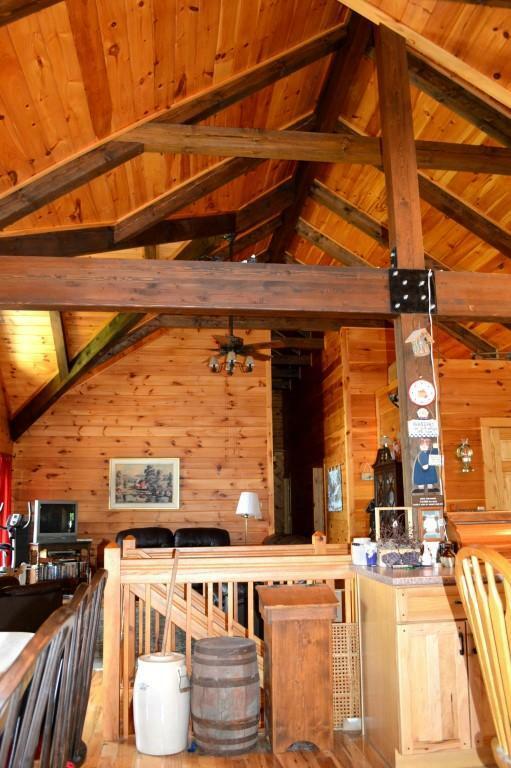 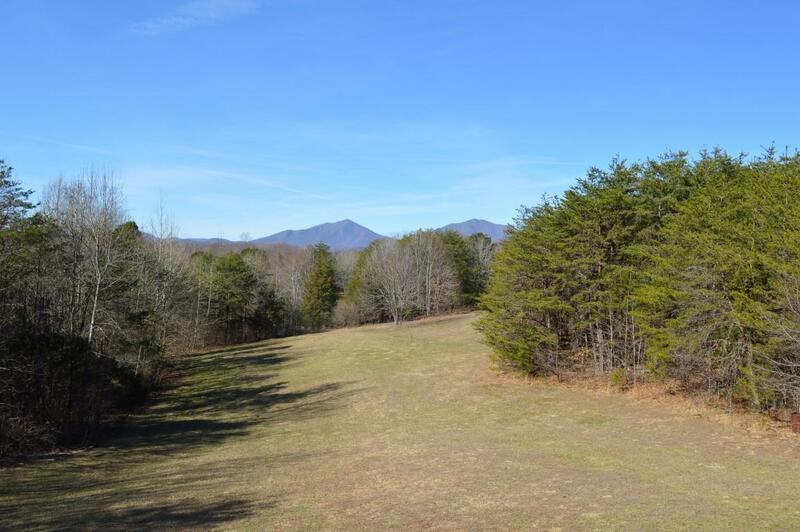 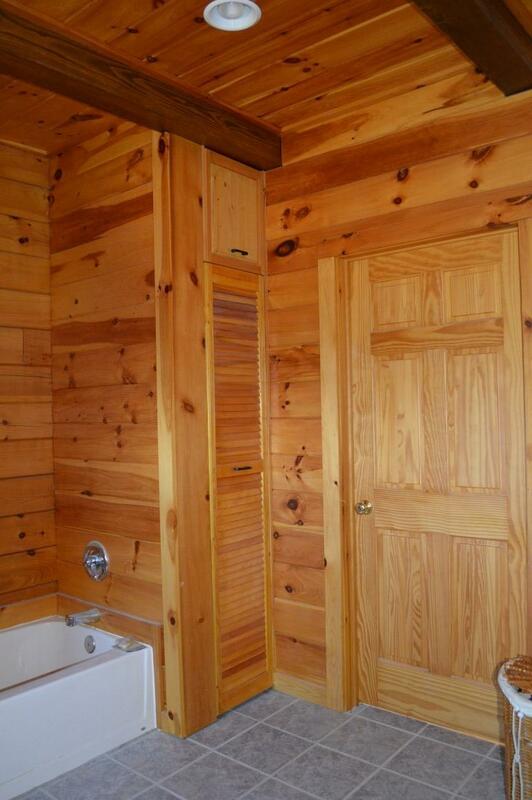 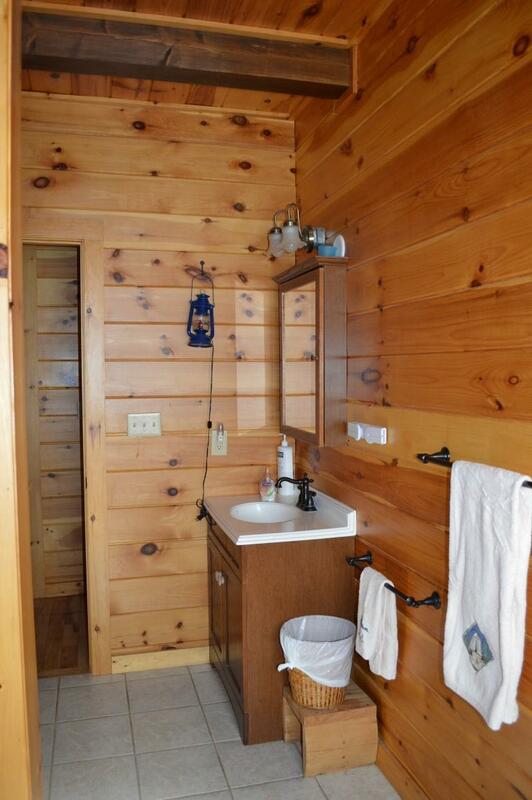 Custom built log home tucked away on 3 acres with beautiful views of the Peaks of Otter and the Blue Ridge mountains. 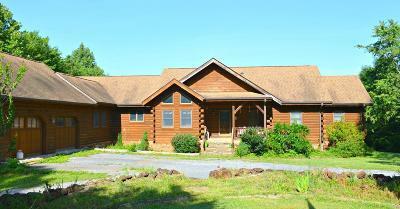 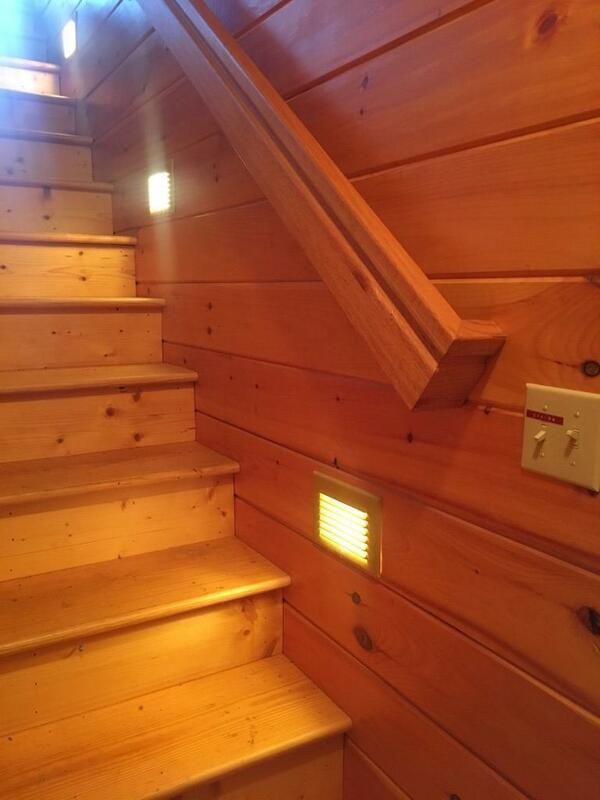 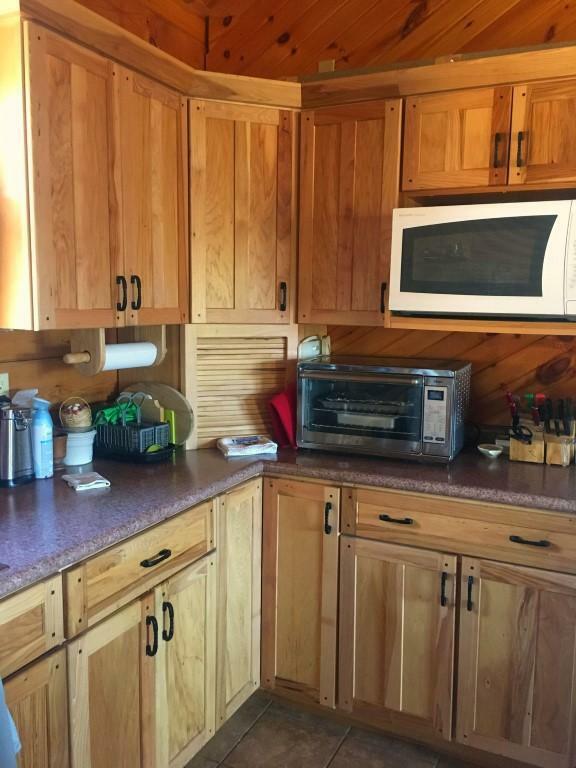 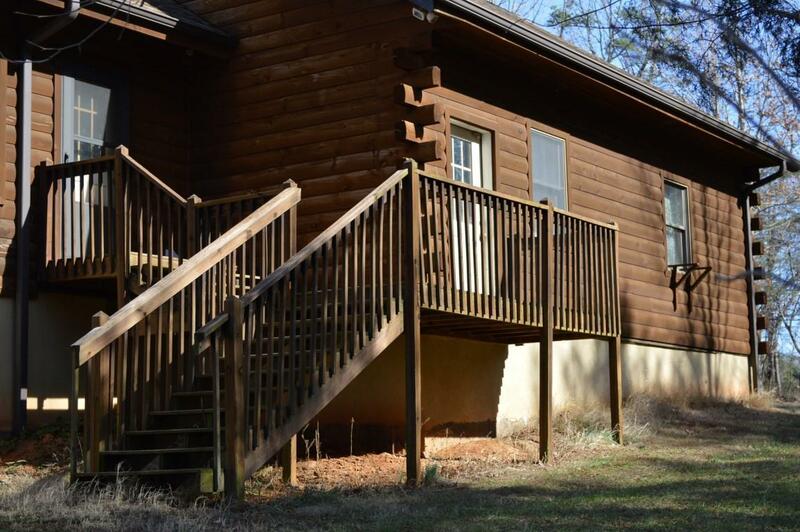 3BR/3BA home, built with high quality, kiln dried timber. 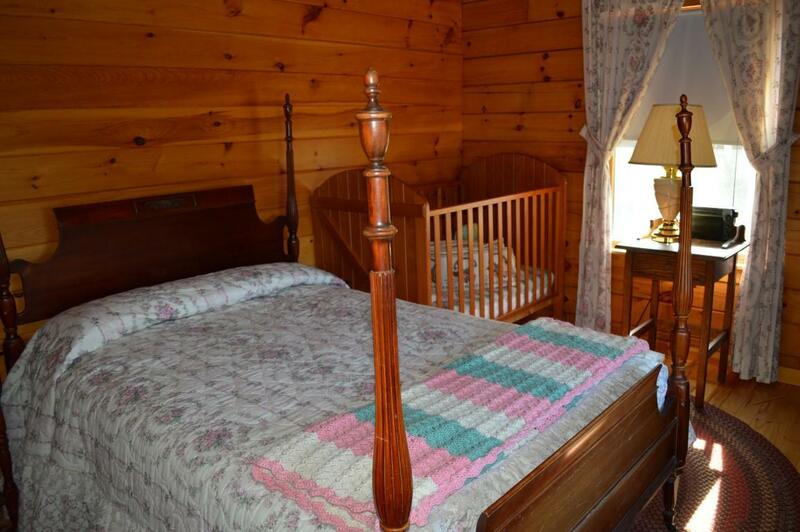 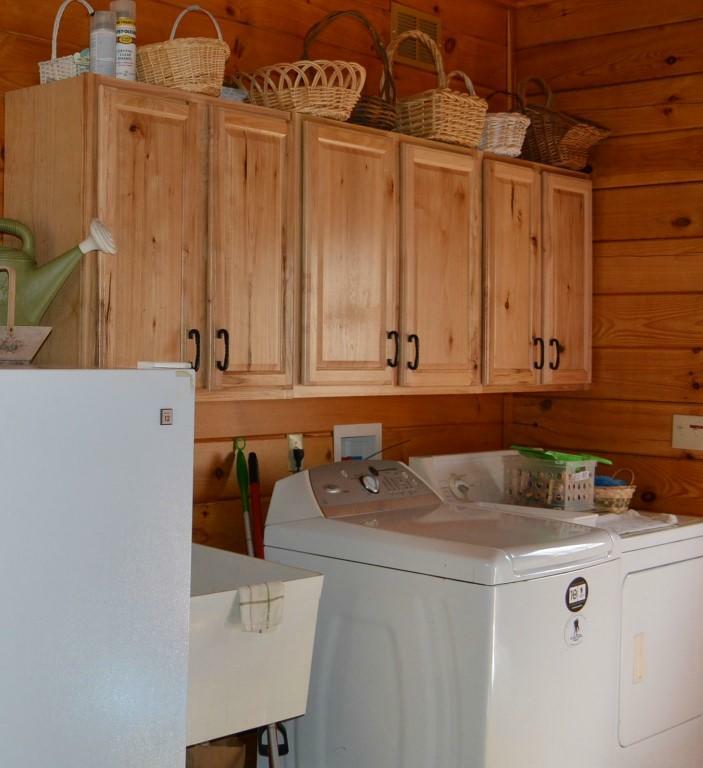 Large master bedroom w/spacious adjoining bathroom and oversize walk in closet. 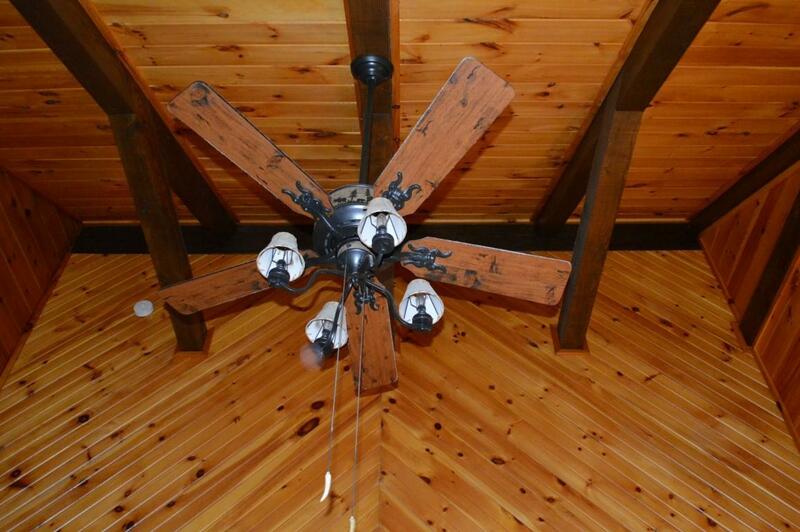 Many rooms equipped with 18' ceilings. 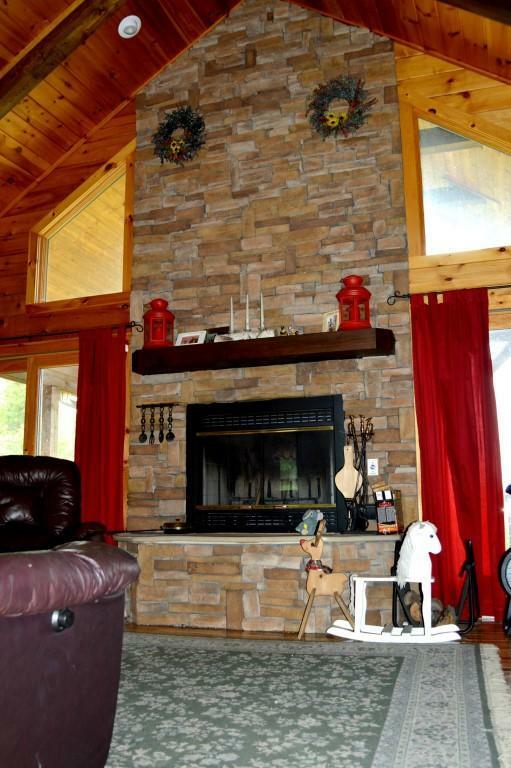 This home features an open floor plan, including a darling breakfast nook leading to the kitchen, dining area and great room.Stunning stone fireplace custom built by a local mason. 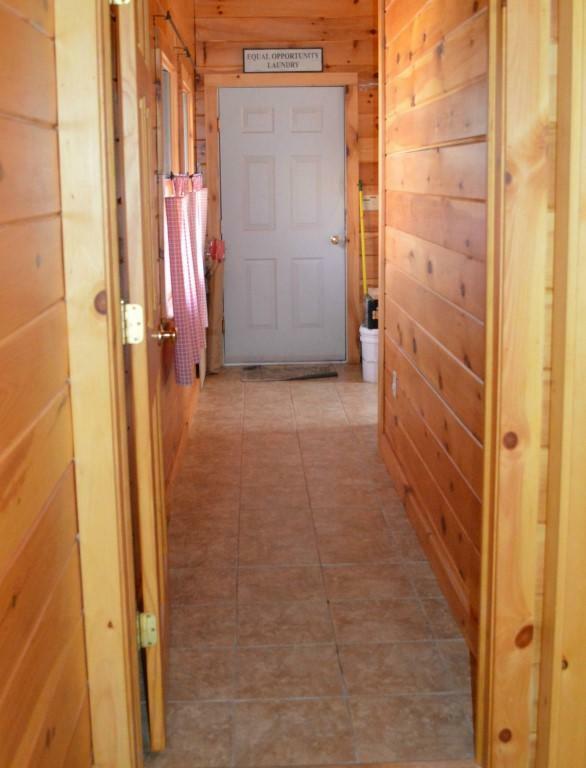 Hickory wood and ceramic tile flooring. 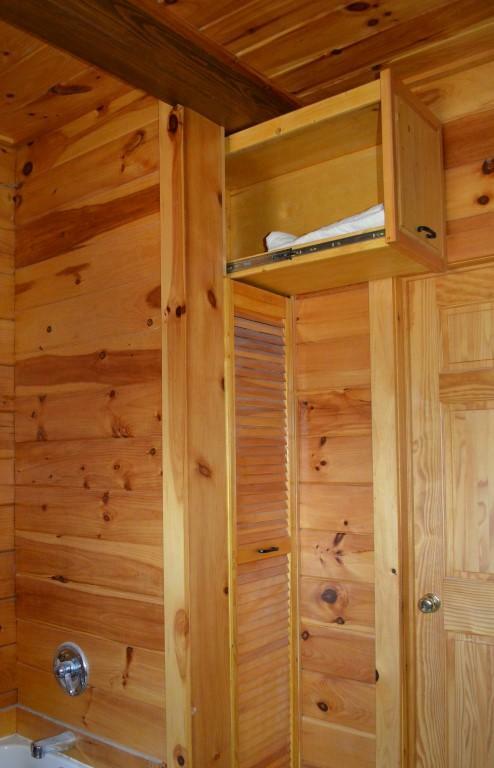 The cabinets in the kitchen and master bedroom were custom built with hickory wood. 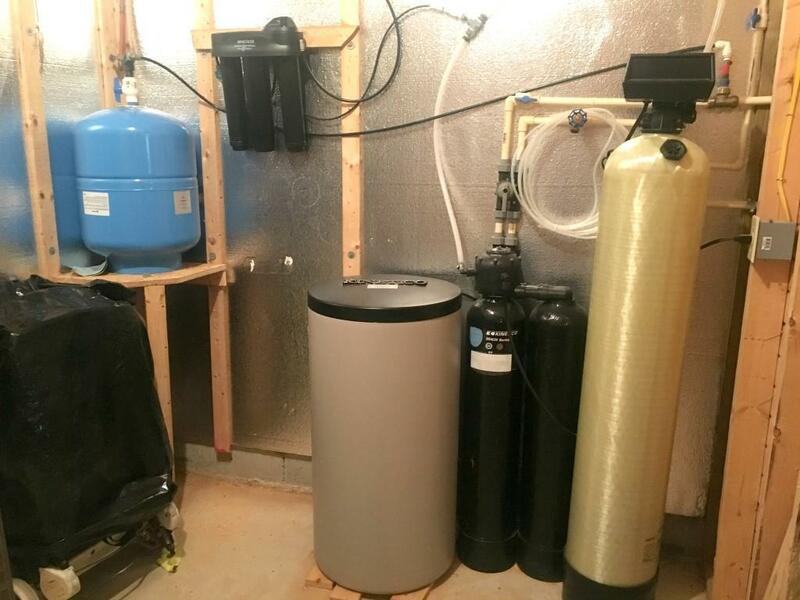 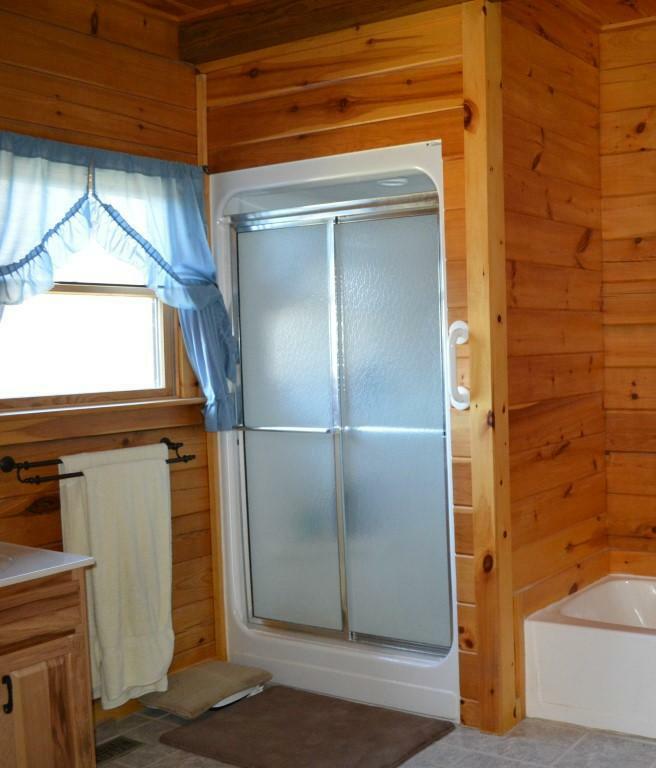 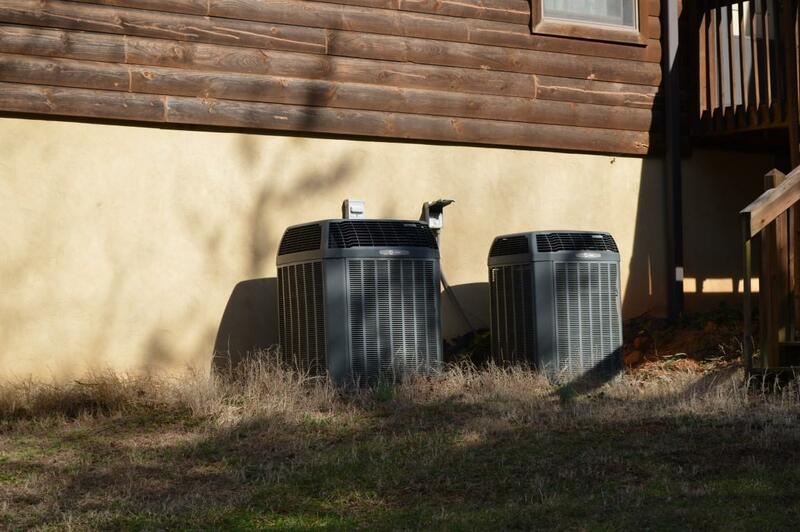 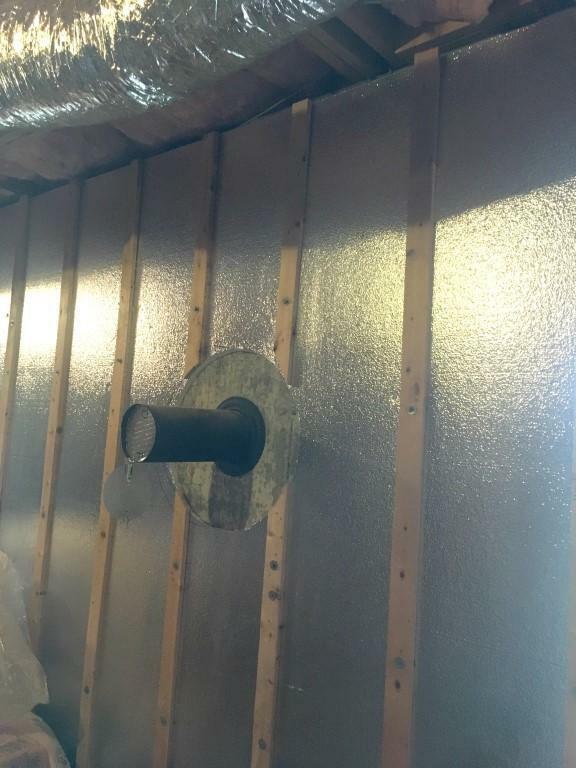 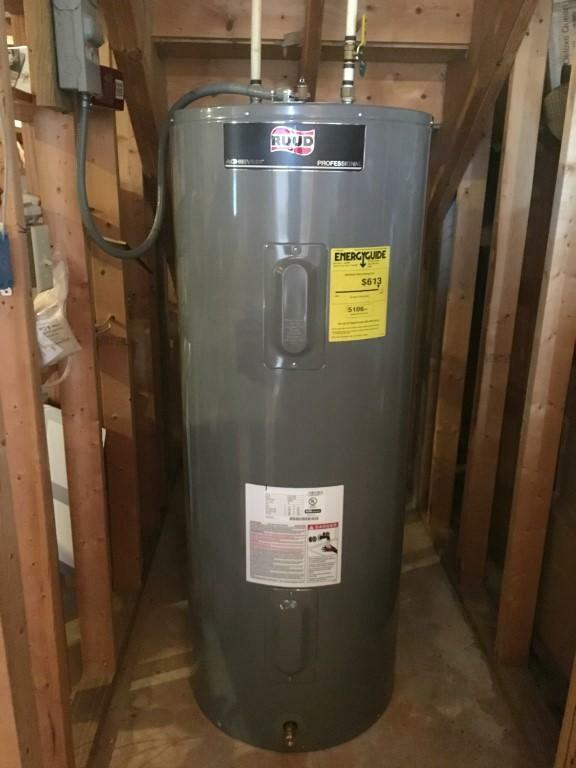 Basement can easily be finished and is plumbed for a full bathroom. 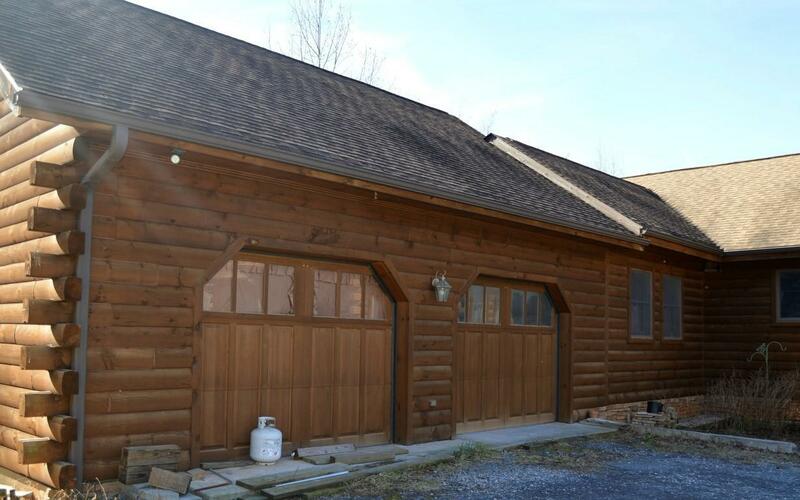 Two single car garages, one is equipped with a workshop. 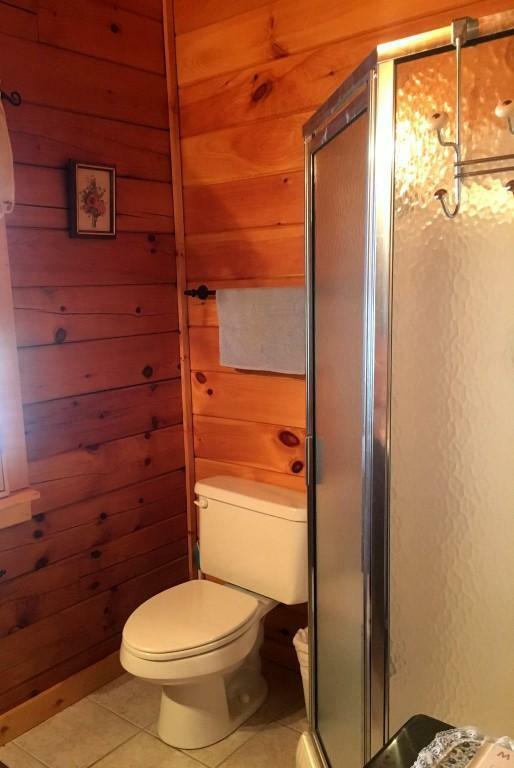 Property is on a state maintained road.